Price Reduction! 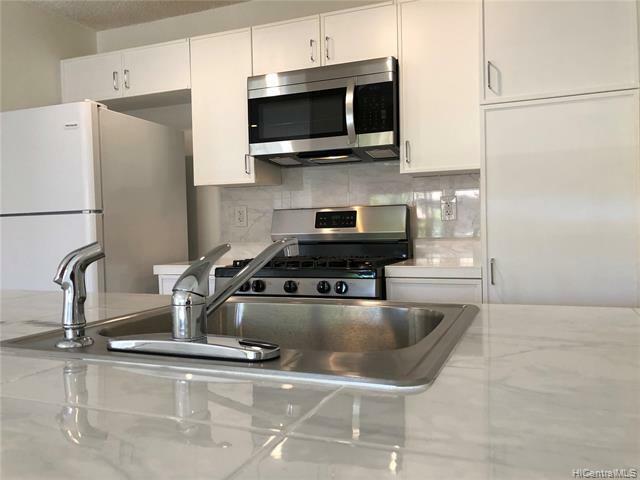 This beautiful second floor condo has been completely remodeled and is the best looking one bedroom unit in Palm Villas. 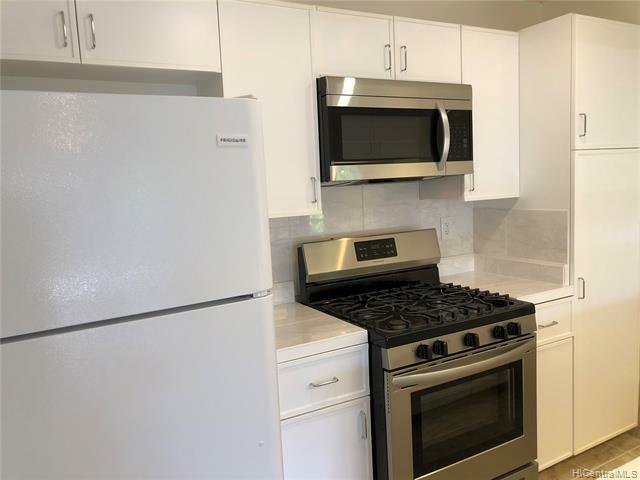 Kitchen has all new appliances, new white Frigidaire refrigerator, stainless steel gas stove, high end tile counter tops and backsplash. You will enjoy the tropical and mountain view from your new home. 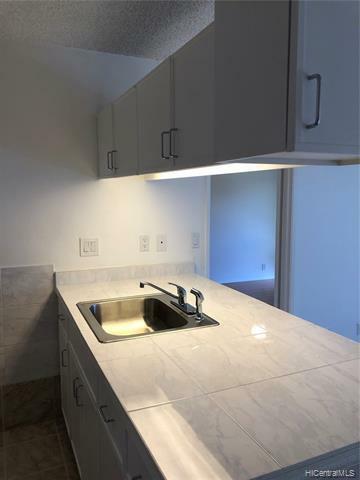 Condo comes with covered parking, washer and dryer hook up. Palm Villas is the best value in Ewa Beach and was one of the first projects done by the Gentrys, Hawaii's number one premier developer. 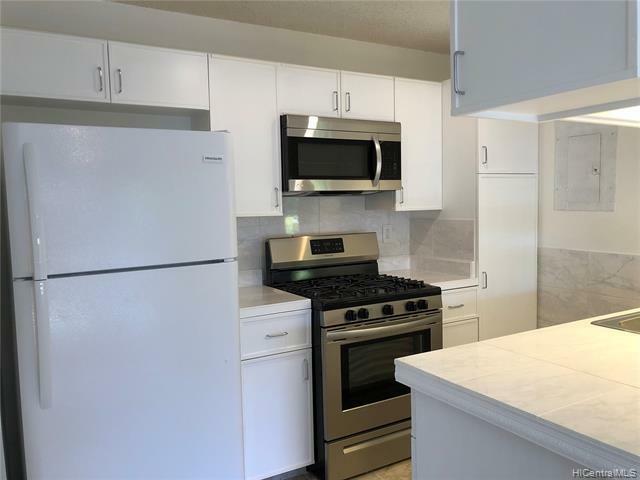 The property is meticulously well kept and is close to shopping, dining and Ewa's arts and entertainment district. Amenities include pool, clubhouse, barbecue area and the community is pet friendly so your four legged friends will always feel welcome.